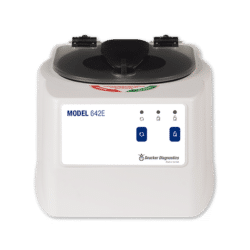 The Model 642M is the mobile version of the world’s best selling horizontal clinical centrifuge. 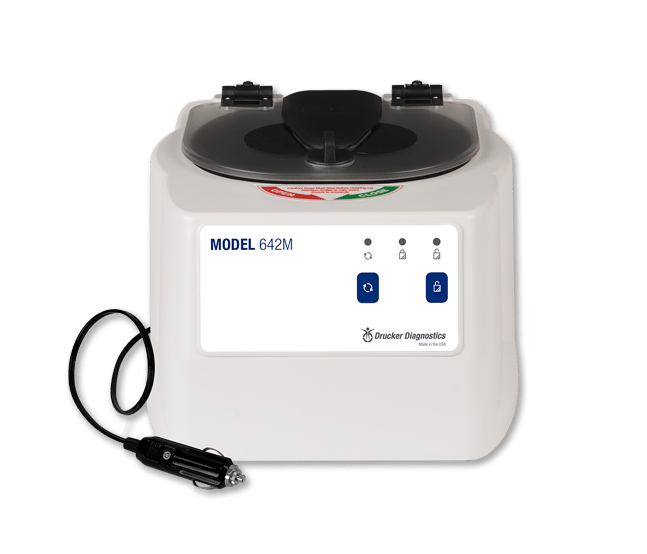 Running from a vehicle’s 12V electrical supply, the 642M provides horizontal centrifugation as recommended by the CLSA and all blood collection tube manufacturers. 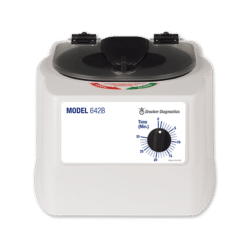 With a single pre-set speed and runtime (10 minutes at 3,400 rpm/1,600 xg) to spin the most common chemistry tubes, the 642M is the clear choice for mobile centrifugation needs. 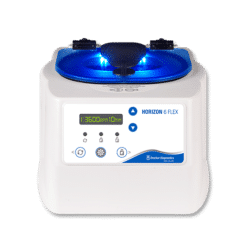 This centrifuge delivers pre-analytic processing of chemistry specimens in a mobile environment. 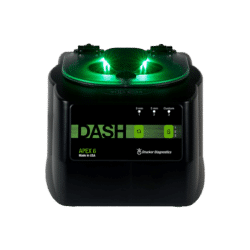 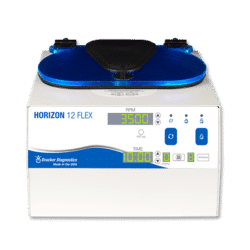 Horizontal centrifugation prepares samples appropriately for transportation, allowing mobile phlebotomists to run more logical routes without having to return to a central lab for centrifugation between draws. The 642M also facilitates centrifugation when standard power is not available.